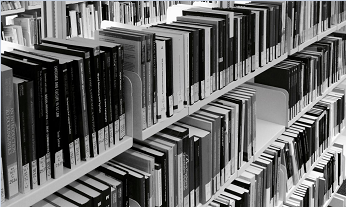 In-house research reports and other publications of the Research Centre. Our physical holdings are available to scholars and the general public. 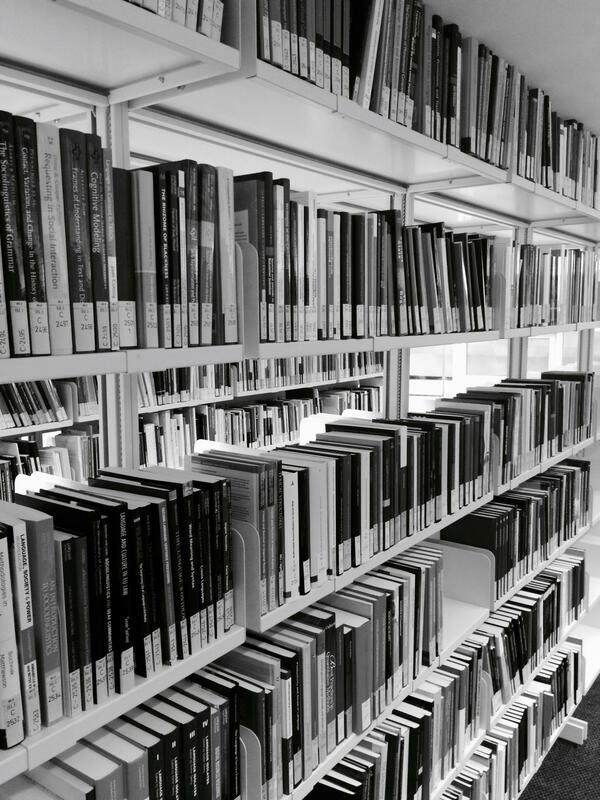 Users can search the collection via the system of the Library of the Canton and University of Fribourg and at the Library for Foreign Languages and Multilingualism of the University of Fribourg. Our digital collection can be accessed via our Web Portal to Multilingualism. The Documentation Centre operates an online helpdesk for persons interested in multilingualism in Switzerland. Please send us your questions in German, French, Italian, or English. 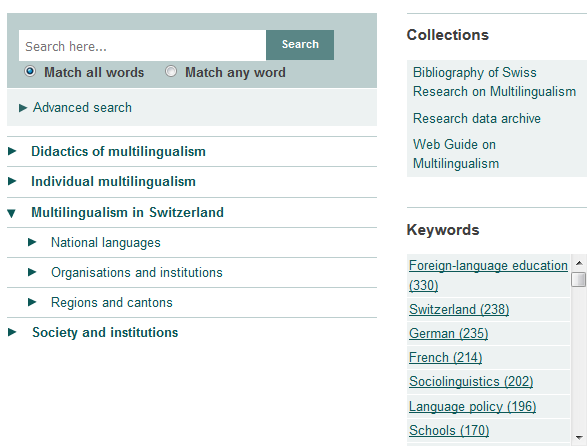 As part of our work, we publish an annual Bibliography of Swiss Research on Multilingualism that compiles scholarly publications from Switzerland related to the field of multilingualism. The bibliography is published in four languages. In person at: Rue du Criblet 13, CH-1700 Fribourg. The Web Portal to Multilingualism offers quick access to the most important digital holdings of the Research Centre. Our thematic dossiers which contain bibliographic references on media publications tied to specific research topics. Other offers are currently being developed.